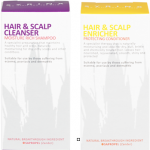 Our scalp condition products are formulated around a natural ingredient called Sapropel. 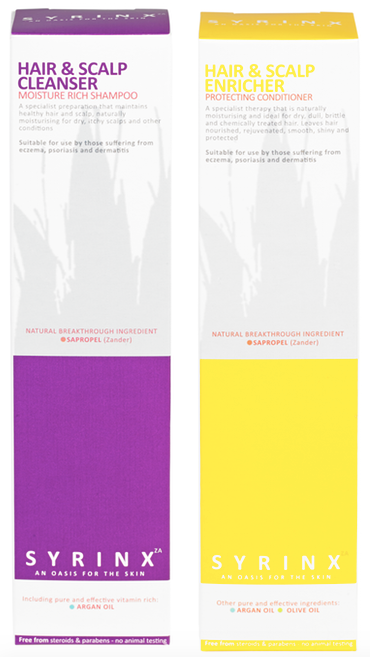 Sapropel has the unique ability to deeply cleanse scalp and skin tissue and remove impurities, without aggravating the symptoms associated with eczema, psoriasis and dermatitis. This moisture rich shampoo has been developed for people suffering from scalp conditions including Eczema, Psoriasis, Dermatitis and Severe Dry Scalp conditions. 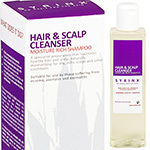 Use just like a normal shampoo to gently cleanse and remove debris from the scalp. 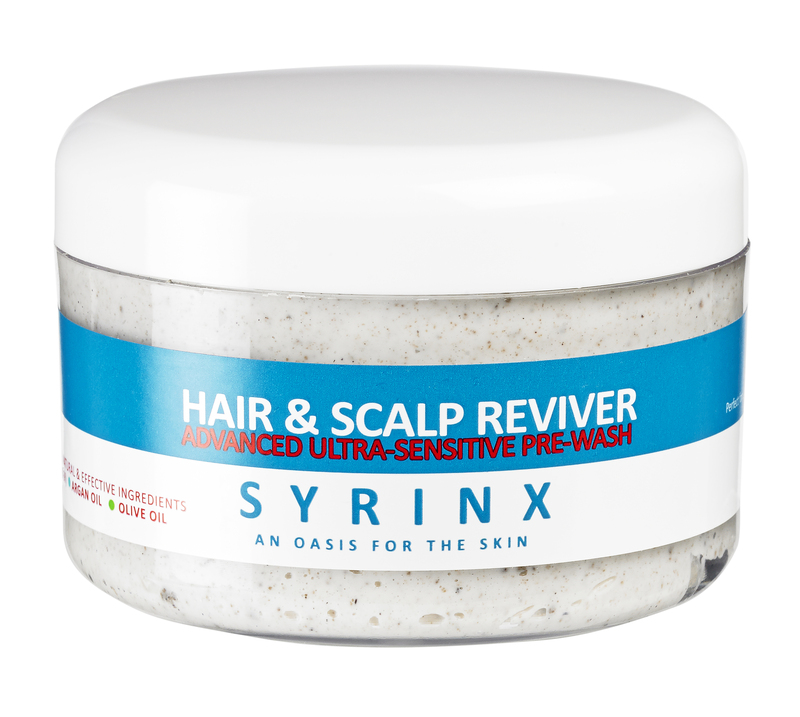 Follow up with the Syrinx Za Hair and Scalp Enriching conditioner. 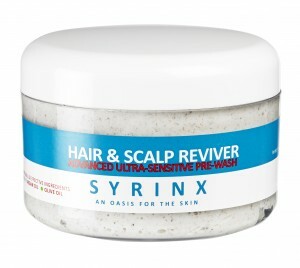 Can be used daily to support the Scalp Reviver and to condition the hair following a Scalp Reviver Treatment. Use just like a normal hair conditioner. 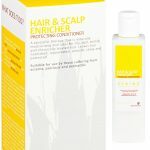 The pre-wash Scalp Reviver has been developed to normalise adverse scalp conditions for people suffering from Scalp Dermatitis, Eczema, Psoriasis, Dry Scalp and Dandruff. Gently Towel dry the hair before applying directly on to all areas of the scalp. Comb access cream through mid-lengths and ends. Leave on for 20 to 30 minutes. Rinse. Whilst deeply cleansing affected skin Sapropel works with other mainly natural ingredients to moisturise the scalp and is clinically proven to calm soreness, reduce swelling and redness and eradicate itching and dramatically reduce or eradicate flakes. Used regularly as a regime to normalise scalp conditions. 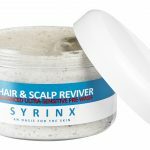 The Syrinx Za scalp treatment products are NOT cosmetic products, they have been developed specifically for Scalp Conditions. 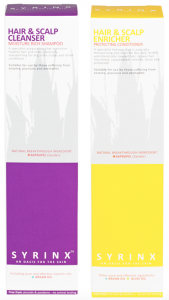 That said we have taken great care to ensure that our follow-up Shampoo and Conditioner will leave the hair feeling clean, vibrant and ultimately manageable. A. Pre-Wash Treatment > B. Deep Cleansing Shampoo > C. Hydrating Conditioner. 1. Wet the hair and remove access water. 2. Apply the pre-wash cream by gently massaging into the scalp, achieving full coverage of the scalp and all around the hair line to the nape of the neck. 3. Work the excess through mid-lengths and ends with your fingers or a wide tooth comb, applying more pre-wash cream if necessary. 4. Leave on the hair and scalp for 20 to 30 minutes. 5. Rinse hair thoroughly with warm water. 6. 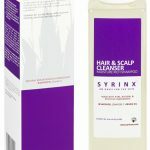 Shampoo as normal with Syrinx Za Shampoo. 7. 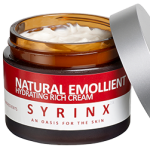 Condition as normal with Syrinx Za Hair and Scalp Enricher. Rinse thoroughly. 8 Gently towel dry the hair. 9. Finish and Style as normal. 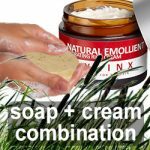 For Scalp Eczema, Psoriasis, Dermatitis, Dry Scalp, Itchy Scalp. 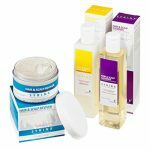 Science has not yet found a cure for Eczema, Psoriasis and Dermatitis conditions which manifest on the scalp or skin, so there is no treatment which can cure these conditions. The best sufferers can hope for is soothing and normalisation of the symptoms. 11. Use shampoo and conditioner daily or as often as you like. 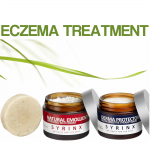 My Eczema Has Gone … "I had very dry skin & eczema behind my ears. 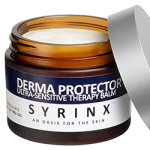 After using Syrinx my eczema has gone & my skin is not dry anymore. I also suffered from cradle cap, no shampoo would get rid of it, now the cradle cap is much better."